Located in the Adriatic sea, with an unrestricted entrance to the yard, Palumbo Shipyard Ancona registers an incredible background and strong reputation in the new build division under ISA YACHTS brand. 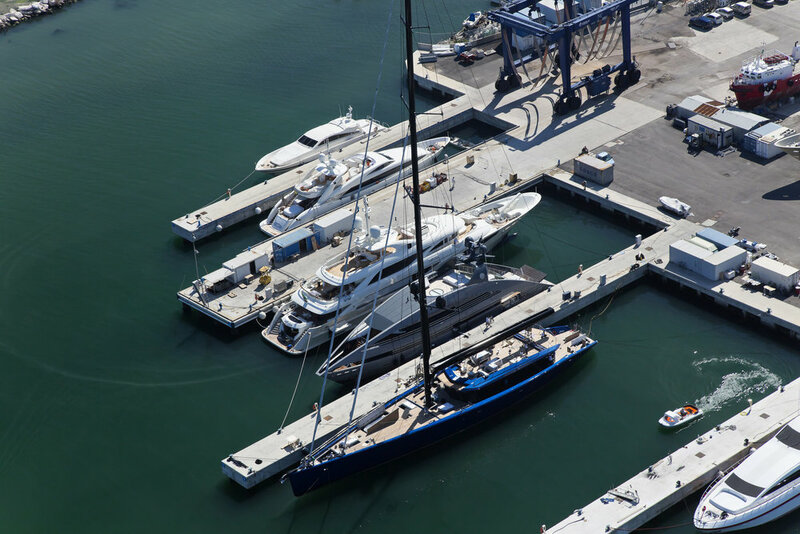 The yard has built up a strong experience in major refit, repair maintenance and conversion of vessels. Indoor large heated workshops guarantee a non stop and comfortable working schedule throughout the year . Spare parts and tools may be ordered directly at the yard. In the heart of a superyacht cluster and nearby container terminal, the yard is able to accommodate all types and dimensions of vessels.